Red Rose used Walker Press to print millions of cards. Somewhere along the way, a few goofs not related to printing were made. It's just human nature. Since this involves the processing of the cards the goofs are pretty much localized and only a few get made before they are caught. 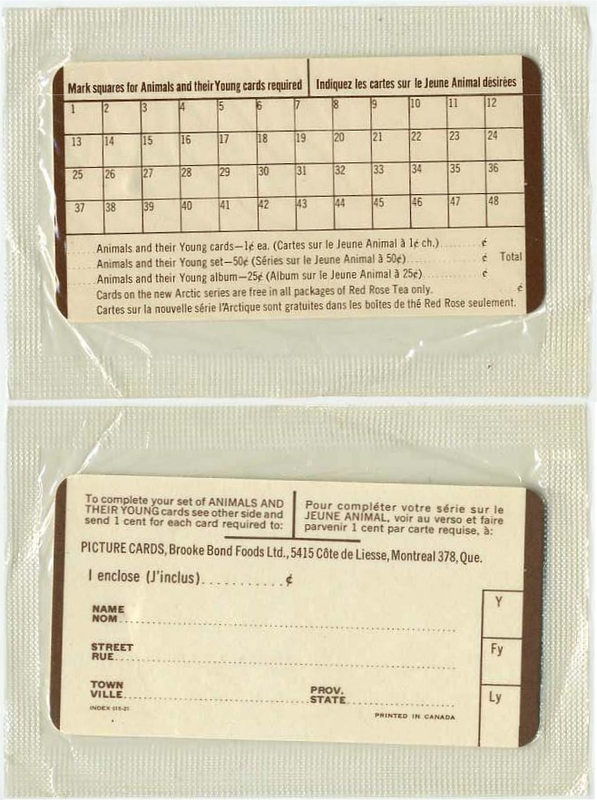 This type of error occurs when the cards or other items are packaged. Sometimes the goof is not worth the bother or does not get caught and winds up in the boxes and into the hands of tea drinkers and finally, into the hands of collectors like us. Is a Processing Error collectable? A process error typically only affects a very few cards. If the error is large enough, then more than one or two people can collect it and it has value. If only a few are affected then typically it is not considered collectable because there aren't enough spark interest and raise value. It's still cool to be the one who has an item like this. What's an example of a Processing Error? My fellow collector Willie Groombridge has found an interesting series 16 The Arctic cello error. Normally, they attempt to put at least two cards in a cello and optionally a completion card and / or a Free Album Coupon. What Willie has is a cello with just a completion card in it. No tea cards! So it looks like this processing error was that the tea cards didn't drop into the cello before they sealed the bag. Is that because there were no tea cards available that day or the machine got stuck? Do you have any processing errors? Thanks again to Willie. Keep 'em coming.